You've asked for it! You've waited for it! And now it's HERE! Skinny pants.... with the comfort of an elastic waist....and a professional facade. It's like a super hero among sewing patterns! Disclaimer 1: Like most of my tutorials, you *will* have to draft a piece. Don't worry, I'll hold your hand through it. We'll do this together! Disclaimer 2: This is NOT a first-time-sewing-the-skinnies-pattern project. Please, please, please do your muslin first! 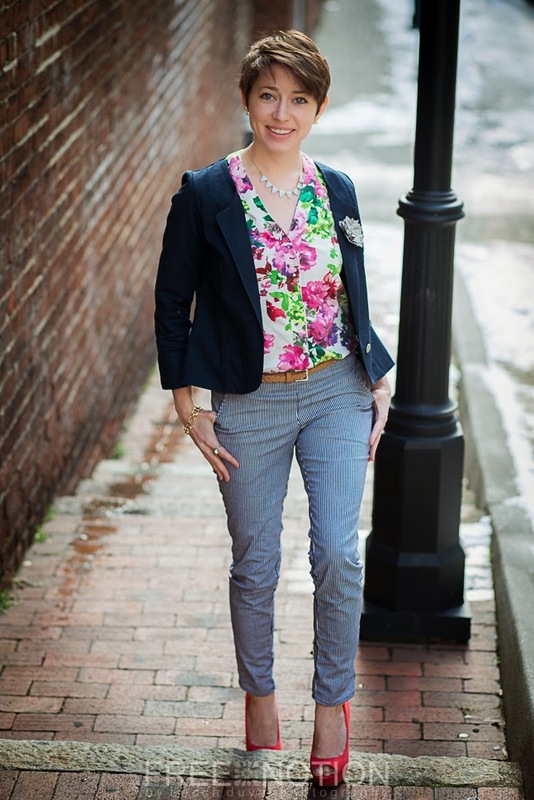 SarahLynn did a great write-up on the different fit adjustments she made on hers, and Jeanine did the same here (scroll just more than halfway to the Bonus Muslin Tips section where she talks about her skinny pant adjustments!). Colette has an excellent cheat sheet, very specific trouble shooting! **If you don't already own the pattern you can buy it on my website HERE or on etsy HERE. Disclaimer 3: Your booty is not the same shape as my booty, and if you're human (and I'm guessing you are) you have curvier hips than me. (Lucky ducks...) As such, your pattern piece WILL look different than mine. And that is OK! 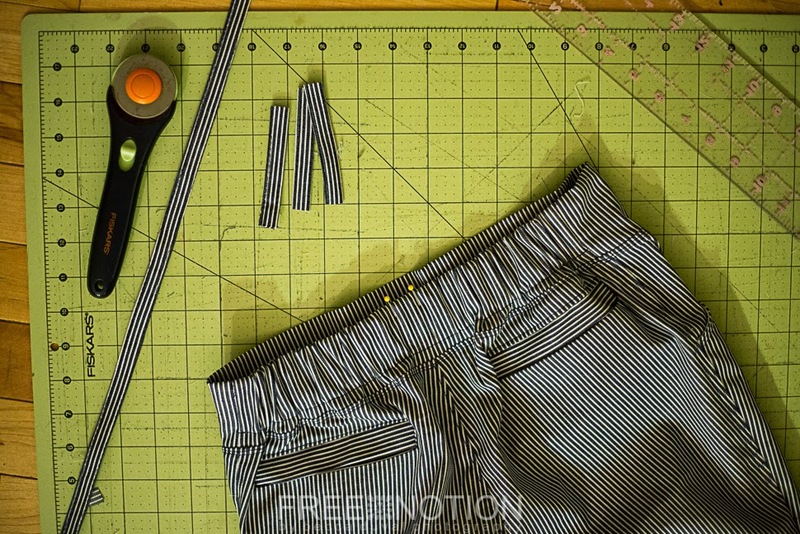 If there was a one-size-fits-all approach to clothes, we'd have no need to sew our own custom fit, amiright? Fabric Marker, Permanent Marker, Depends how adventurous you're feeling. Fabric, about 1/2 yard more than the pattern suggests for your size. I HIGHLY recommend using a stretch woven fabric! The results are just way more comfortable than my non-stretch pair. Then I borrowed my zipper fly pattern piece from my much-loved Greenstyle Taylor shorts. I can't very well fake having "grown up" pants without faking a zipper fly, right? 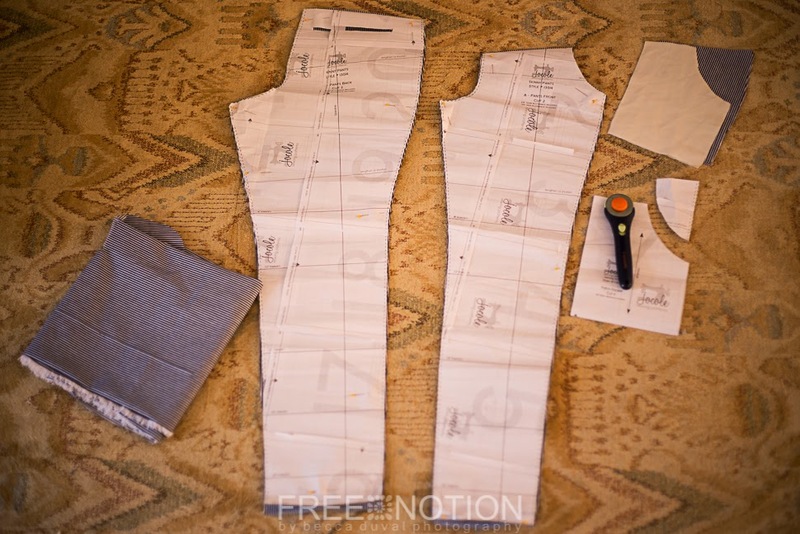 Using this pattern pieces isn't 100% necessary, you can always eyeball it, or make up a little pattern piece following your favorite pair of jeans. I used my fabric marker to trace the pattern piece, and stitched two parallel rows of accent stitching. Uh oh, did I get your heart racing just then? Take a deep breath, WE CAN DO THIS! Grab your muslin/paper/deed to your home, whatever you've got handy. We're drafting ourselves a pattern piece. You'll need your elastic, markers, and a ruler too! 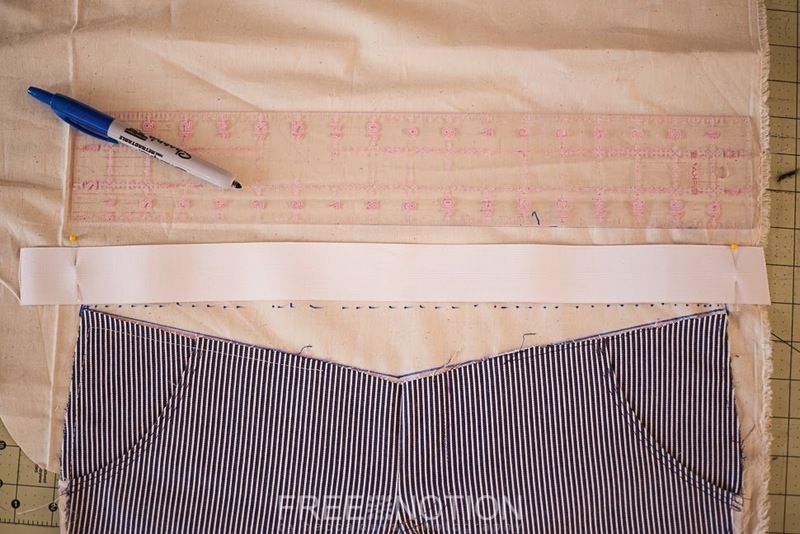 With your ruler, "connect the dots" by drawing a straight line across each side of your pants. Line up your elastic along this new line. Mark 1/4 inch above your elastic. 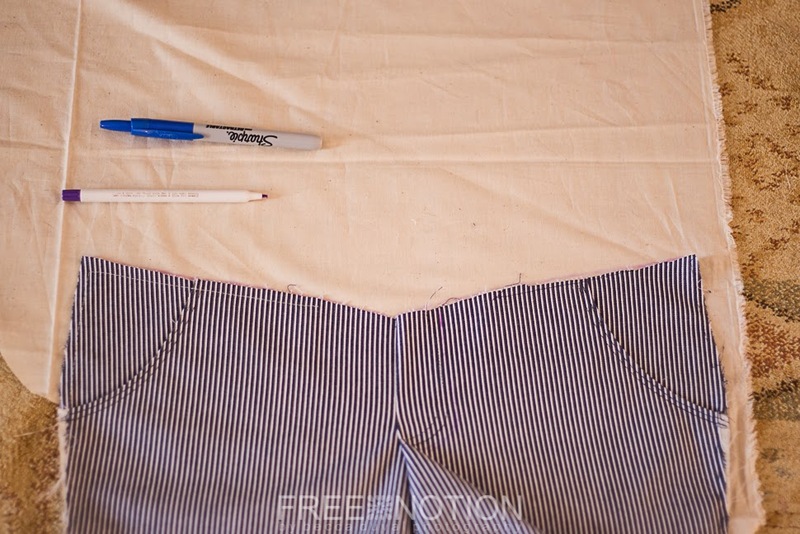 Now write "FOLD" at the top of your pattern piece, just in case you need the reminder next time you make these pants! Before we get to cutting anything, let's confirm the measurement across the front piece. After all the adjustments we did in our muslin (You did do a muslin, didn't you? DIDN'T YOU?) I'm going to use this chart of "front" measurements as more of a guideline than a rule. Close enough? Excellent! 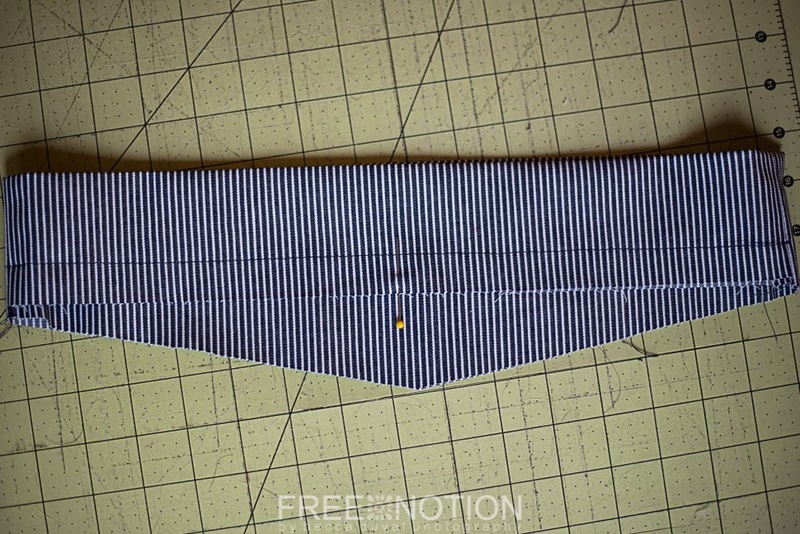 Cut out ONE main fabric, on the fold, and ONE interfacing. Iron on that interfacing, and set that piece aside. Now cut one piece for the back. 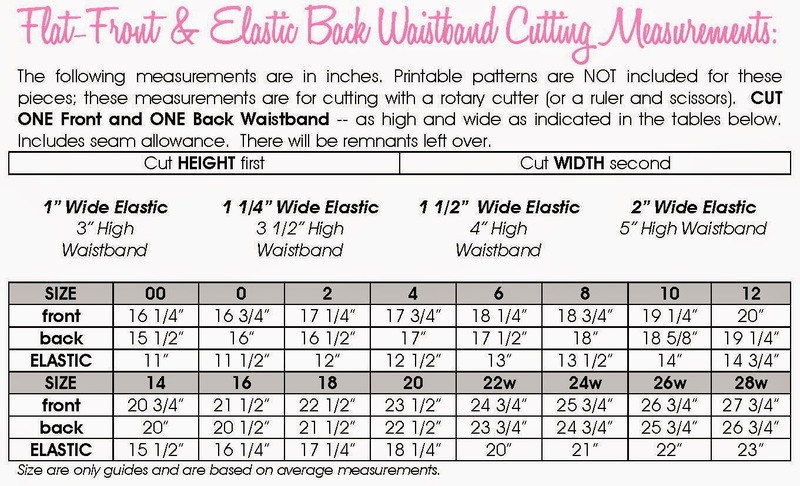 (Also in the chart) But before you do, check the height of the side of your hand-crafted pattern piece. (Doesn't that sound nice? "your hand crafted pattern piece" - well done, you!) 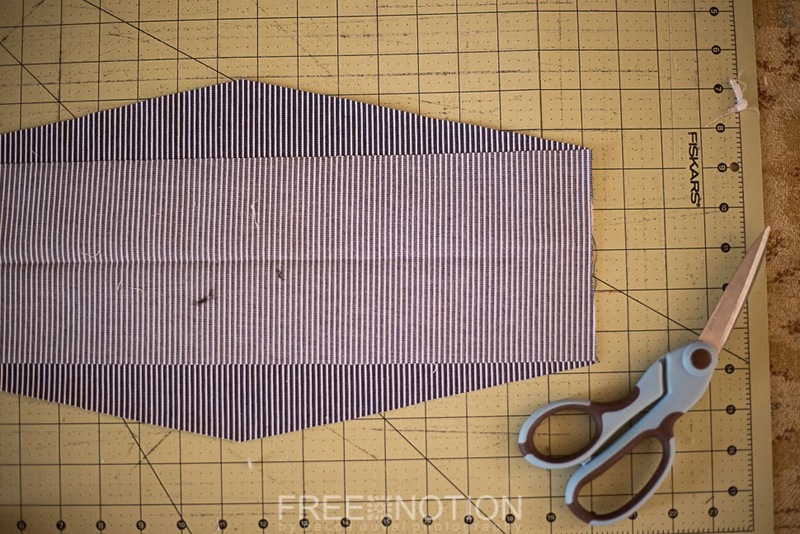 Your back pattern piece should be double this height. Mine was a smidge off, but "perfect is the enemy of the good", or so they say, so I carried on anyway. 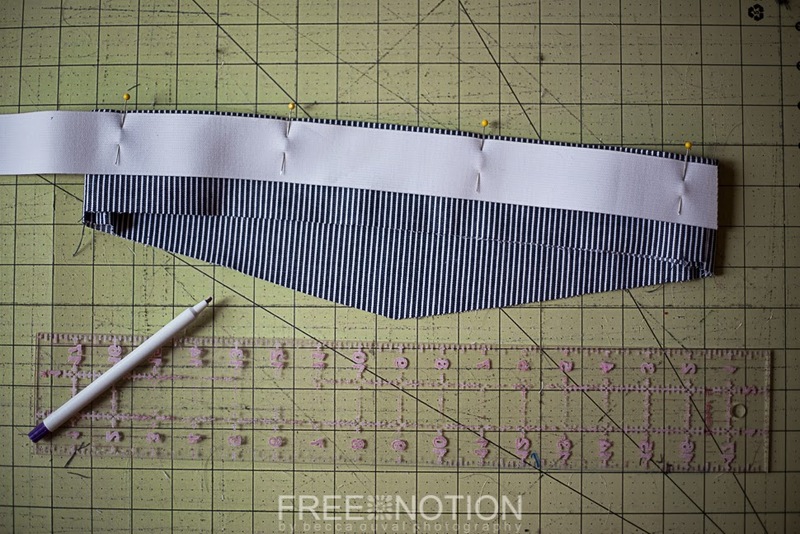 Continuing our waistband-detour, sew those puppies right-sides-together at each side seam. Before we grab our elastic, let's take a second to mark the back center. This will just help to keep things even when we stitch our waistband to our pants. My skin is a magnet for pins, so I ended up swapping this one out for a wonder clip. A small notch or mark of fabric pen would do the job too. Whichever is your preference! We are SO SO CLOSE! Go topstitch that seam and meet me back here to talk beltloops. more than a couple of layers. Word on the street is beating it into submission with a rubber mallet is the way to go.. (The fabric, not the machine. 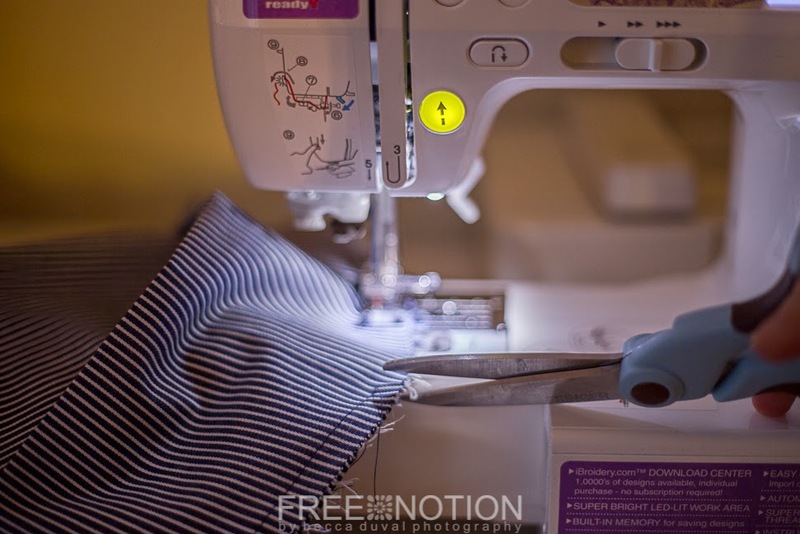 No sewing machines were harmed in the making of this tutorial!) I was too emotionally spent to put this to the test, but if you experience similar problems, give it a try! Also make sure you're using a needle for heavy weight fabric. 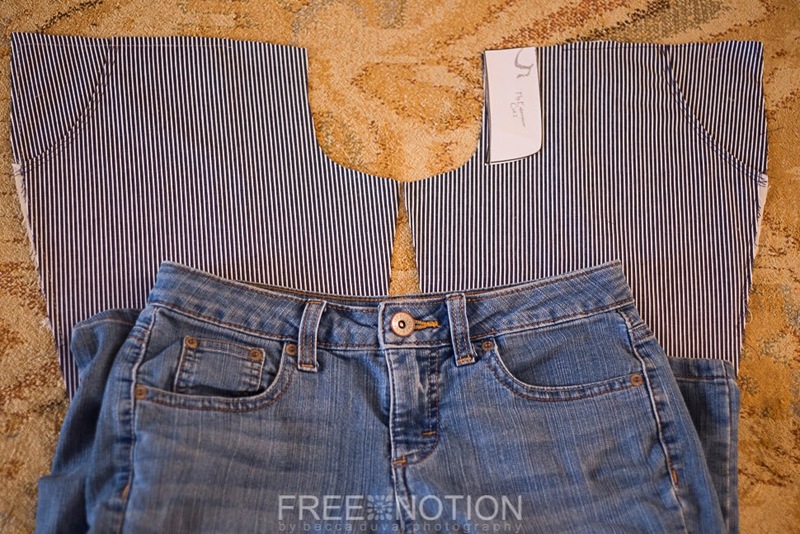 Take a 1.5 inch strip of your denim and fold it like bias tape. 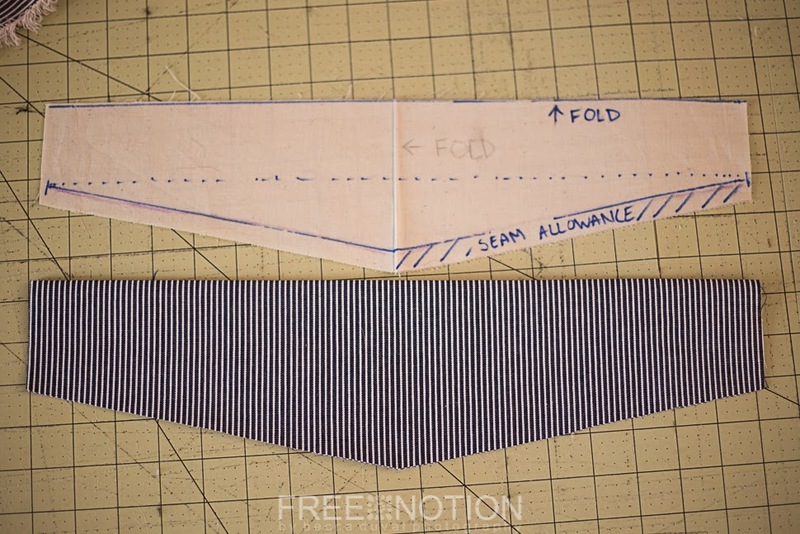 (Fold outside edges into the middle, then fold in half) Stitch along the open edge with a 1/8" seam allowance. Give your back waistband a few tugs. We want the gathering equally distributed! 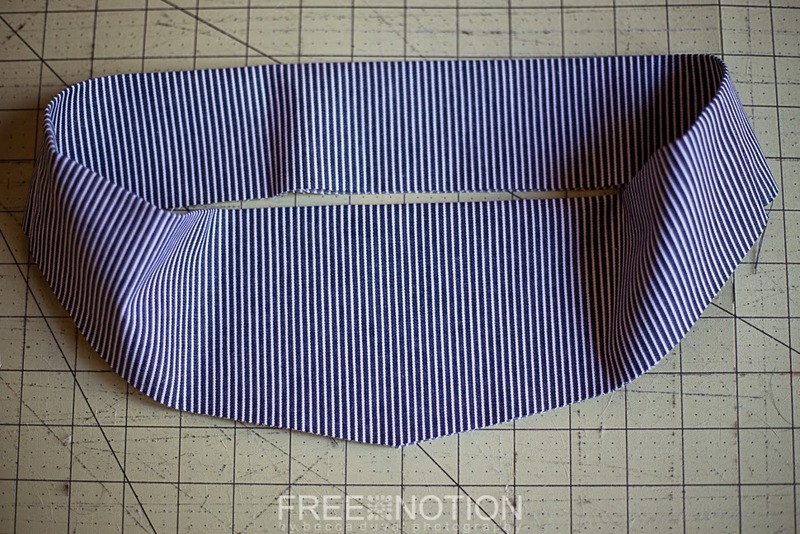 Now smooth the gathers away from the back center waistband, and pin about 1 inch width flat. We're going to sew our first beltloop on here, and don't want to sew over any gathers! 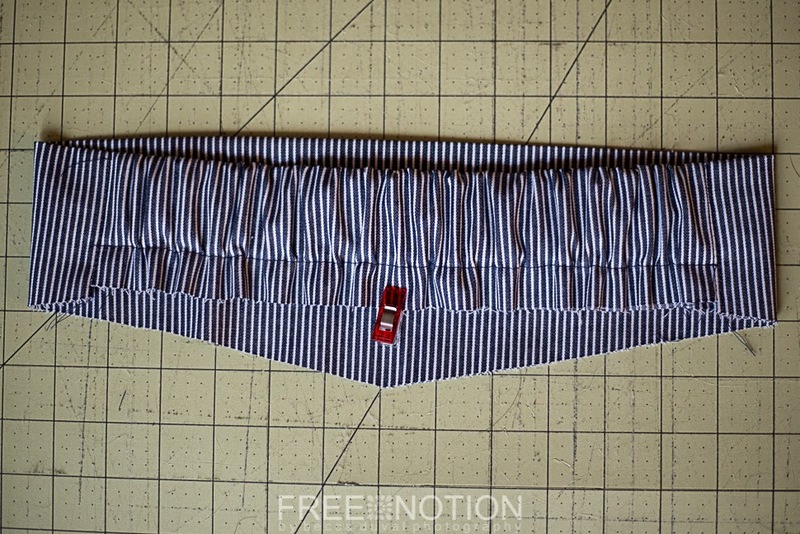 (TOP) Overlap your beltloop about 1/4 inch onto the top of your waistband. Stitch 1/8 away from the top of the waistband, and backtack the entire way, JUST off the beltloop. With your needle down, lift your presserfoot. 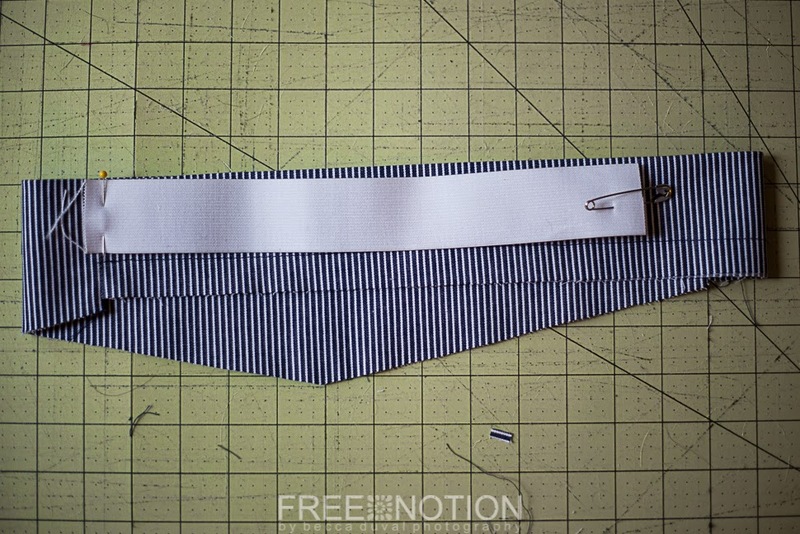 (BOTTOM) Fold your beltloop down so it lays across your waistband. Pull it taut, BUT GENTLY! We don't want to bend our needle! Put your presserfoot down, and stitch/backtack again. 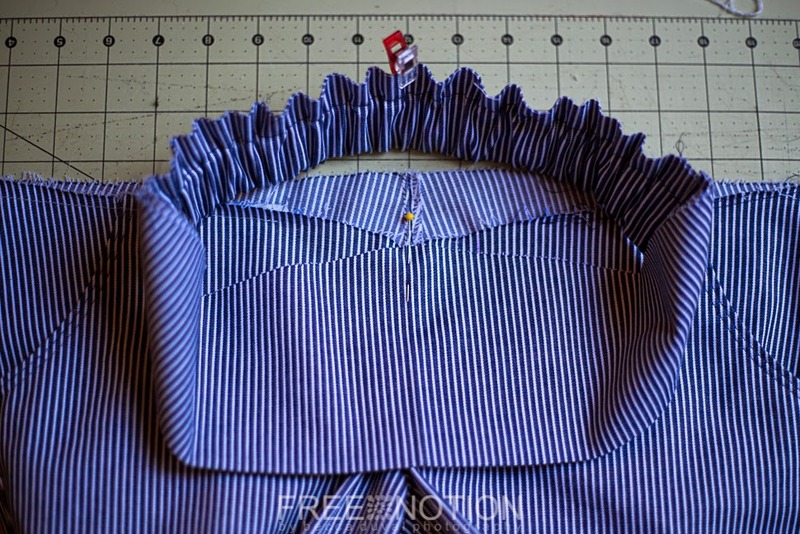 Fold your bottom belt loop under 1/4" and stitch/backtack. 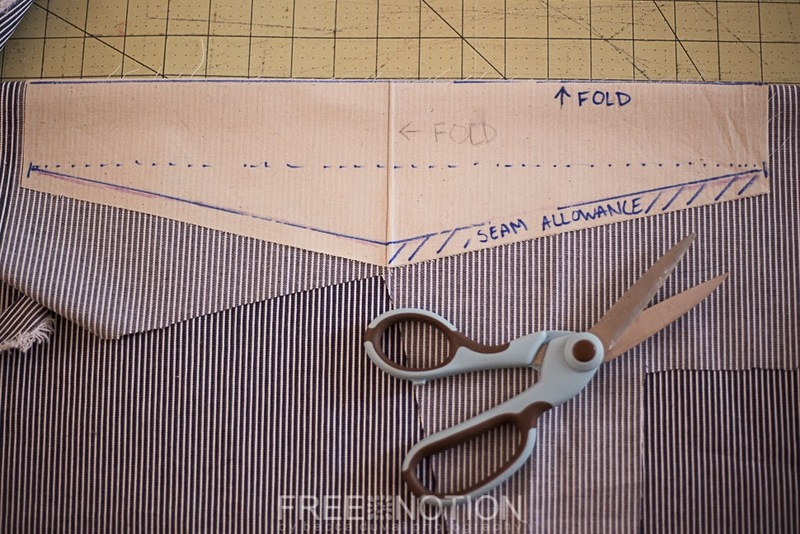 Repeat this on each side seam. If you're not weeping over an uncooperative machine/needle/denim arrangement, you may even consider stitching a couple belt loops on the front of your waistband. And there you have it!! 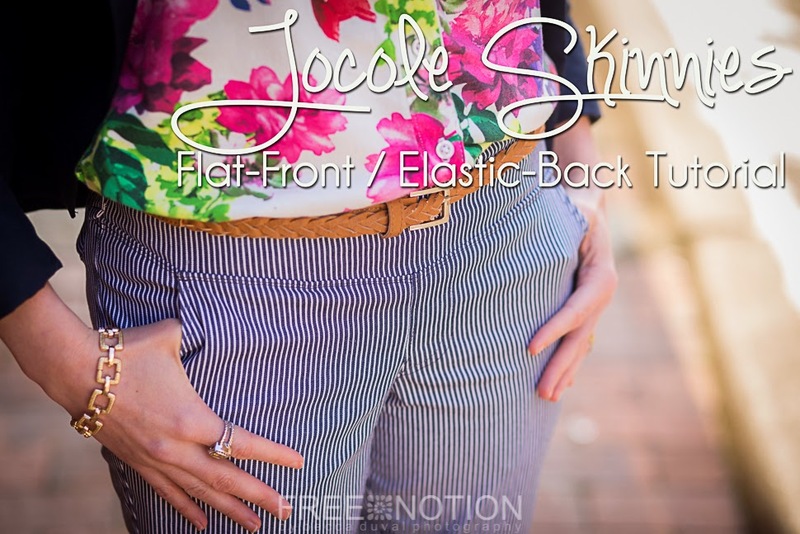 Flat Front Skinnies with an elastic back! If you're dying to know the fabric I used, or the patterns I've paired them with here, go visit my friends at Pattern Revolution! It's all listed in my Fashion Friday feature. I know, I'm a stinker ;) I just wanna to spread the love! 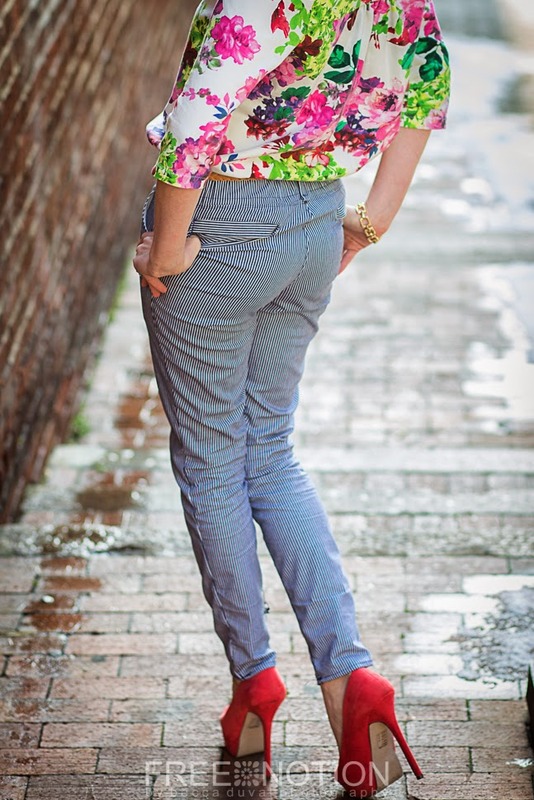 Hope you're loving your new skinnies! If you share them in the Jocole group, please tag me. I don't want to miss your beautiful creations!